You have just found the best cleaning service in London. 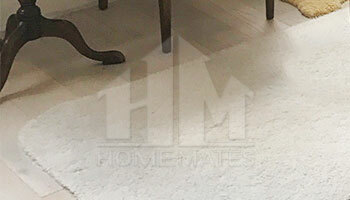 HomeMates employs some of the best carpet cleaning technicians in Notting Hill, W11. Choose our carpet steam cleaning service today and restore the look of your carpet. Our company, operating in Notting Hill, has a lot of experience in the cleaning industry. One of the services that we could offer to your attention is the carpet cleaning, suitable for cleaning of all types of carpets, no matter of their size and shape. is full of energy and ready to proof that even the newest co-workers could do the cleaning job as good as the most experienced in the field. is the most experienced carpet technician. For 3 years he took care of more than 4500 stained and dirty carpets. admits that the satisfaction of the Customer is the most important thing for him and that is what makes him develop himself. has more than 7 years experience as a professional technician and he became supervisor of the team performing the carpet cleaning. We are welcoming you to experience the unique carpet cleaning that will totally change the look of your carpets, without damaging them in any way. E-mail us at info@homemates.co.uk or simply call us on 020 3745 4377 and our customer care team will gladly explain you even the smallest details about our cleaning services. We promise to treat carefully all of your carpets and to make them look almost new. Through the years we have struggled a lot to ameliorate our work and to make everything possible to meet all of the customers’ requirements. Your carpets will no longer need to have those severe stains on them. We can offer to your attention the steam and dry cleaning – two methods that have proven their efficiency when it comes to carpet cleaning. They will help for the better extraction of dirt and dust that are usually hard to be removed in the normal way. If you have pet at home you are well familiar with all the consequences that they could have on the carpets. Our company tends to be the most appropriate choice for you because we have established astonishing working hours that are suitable to be combined with other activities. The cleaning company works during the week and at the weekends on daily, weekly or monthly basis. You do not need to worry about the fact that the colour of your carpets will be altered. Even the strongest detergents that we use are not capable of doing this, as they have passed preliminary tests that guarantee for their safety. Another interesting fact for our company is that our competent cleaners are applying complicated and innovative methods that are both effective and easy to be performed. If the customers have any further questions regarding the carpet cleaning in Notting Hill, W11 they can receive additional information when they contact the lovely customer support centre that also work seven days per week. They will have the opportunity to discuss the conditions of carpet cleaning service with our polite staff, who will assist them with everything they could. Choose us for the outstanding appearance of your carpets. HomeMates is one stop shop where you can find full range of home services like gardening, cleaning, handyman and removals!